Diane Ruth Shewmaker is the creator of the Sekhem-Seichim-Reiki healing matrix. Already a Seichim and Reiki Master, Diane channeled new information in 1997 about the third component of the matrix, which she was guided to call Sekhem, as well as information on how the three energies work together as a unified, full-spectrum healing system. This led her to combine these three infinite expressions of universal love as Sekhem-Seichim-Reiki (SSR). Diane has been an avid student and teacher of traditional, holistic and metaphysical healing arts for more than 20 years. She is a licensed psychotherapist who brings a rich background and the experience of her soul path to her work as a highly gifted and skilled spiritual and intuitive counselor, healer, teacher, channel, author and universal lightworker. This background includes general, transpersonal and Jungian psychology; psychosynthesis; Gestalt theory and practice; hypnotherapy; meditation; A Course in Miracles; various body-centered modalities; and other complementary methods of healing such as rebirthing, attitudinal healing and energy work. In searching for a way to help others deal with such issues (as well as in pursuing her personal healing), Diane took up the study of the human energy system and how its physical, emotional, mental and spiritual components influence and interact with each other to create either a state of health or a state of "dis-ease." In the process, she became a Practitioner and Master Teacher of several energy work systems that specifically address the healing process at all of these levels. These systems include: SSR; Seichim; Isis Seichim; Traditional Usui, Tibetan and Contemporary Reiki; Karuna Reiki®, Blue Star Celestial, Shamballa Multidimensional and Integrated Energy Therapy (IET). Diane is also a certified teacher of SKHM, having completed a one-year training course with Patrick Zeigler, who brought Seichim/SKHM to the world from Egypt. Further studies have been completed with Ken Page, the developer of Heart and Soul Healing® (formerly known as Multidimensional Cellular Healing®), to become a Certified Practitioner of this powerful modality. Diane has also received training in the psychic and spiritual healing arts from Doreen Virtue, Ph.D., and is a Certified Spiritual Counselor. As well, Diane is a Certified Instructor and Practitioner of a dynamic self-development and spiritual healing system called Kofutu Touch Healing and Kofutu Absent Formula Healing. She has also studied Hawaiian Kahuna healing. 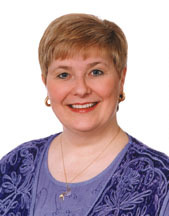 Diane has also been trained by Dr. Eric Pearl as a certified practitioner of The Reconnection® and Reconnective Healing®. In addition to teaching classes throughout the United States in those healing modalities already mentioned where she is a Master Teacher or Certified Instructor, Diane leads seminars and workshops nationally and is available for speaking engagements on a variety of metaphysical and spiritual growth topics such as ascension; light body and sacred geometry activation; awakening the unified heart; communicating with angels and the ascended masters; and rebirthing. Diane's professional background also includes nearly 25 years of human resource development and administrative experience within nonprofit, legal and public accounting organizations. Within these various settings, Diane worked successfully with management and staff at all levels. She also designed and led trainings and work discussion groups in such topics as stress reduction and life management skills; time management; understanding and coping with organizational change; communication and interpersonal skills; conflict management; team building; diversity training; optimum wellness; and downsizing. Her last position in a corporate setting was as Director of Administration and Human Resources for a nonprofit organization in Washington, D.C.
Diane holds a master of arts degree in education and human development, with a major in community mental health counseling, and a bachelor of business administration degree in human resource management. Both are from The George Washington University in Washington, D.C. She is a licensed psychotherapist in several states and is a professional member of the American Counseling Association and the American Mental Health Counseling Association. She is also an ordained nondenominational minister in the Order of Melchizedek. Diane currently resides with her husband Dennis, and her cats Ganesha and Gandalf, in Olympia, Washington. © 1999-2005, Diane Ruth Shewmaker. All Rights Reserved.